Rollicking, genre-transcending, Rock N Roll delivered by four guys who love their craft. With three part vocal harmonies, driving guitar and bass riffs, their songs are powerful and intense, yet simple and honest. 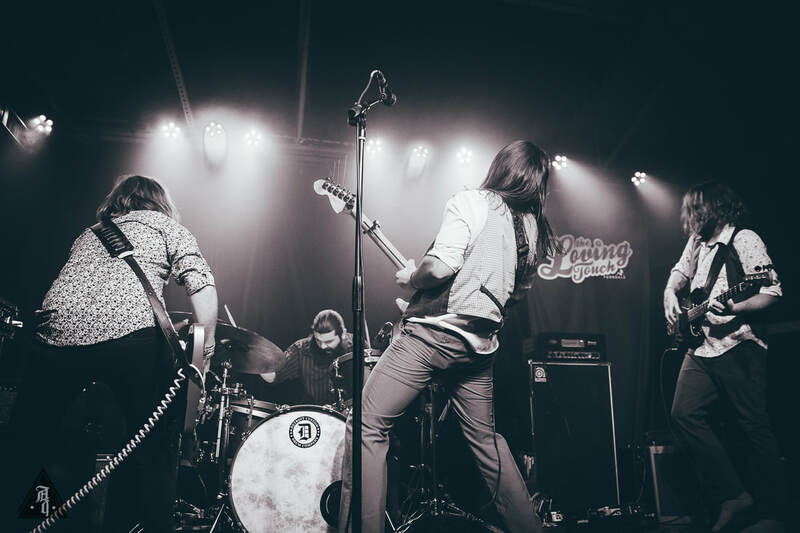 The Gypsies released “Killin’ Time” on July 1st 2017, not long after they were deemed one of the “Three ​Best Unsigned Bands in the USA” by JBL, and right before they became Grand Prize Winners of the 2017 Michigan State Fair Superstar contest. In early 2018, the band received two Detroit Music awards for Best Americana Act and Best Americana Recording for “Killin’ Time”. With their 2018 release, “Vagabundos”, the band has toured nationally along with releasing videos for “Walking Trouble” and “Freaks & Nonbeleivers”. Caleb and Neal play their guitars like they’ve been playing together for years , both adding elements of lead and rhythms that play off each other uniquely. Steve’s bass lines range from subtle to funky, and Joe on the kit drives the wagon with hard hitting drum licks.